Electronic Arts Inc. (NASDAQ: EA) today revealed thatEA SPORTS™ FIFA 17 is powered by Frostbite™*. One of the industry’s leading game engines, Frostbite delivers authentic, true-to-life action, takes players to new football worlds, and introduces fans to characters full of depth and emotion. To see the full debut of FIFA 17 powered by Frostbite, fans can watch the EA PLAY livestream at 9:00pm BST on http://ea.com/play2016. 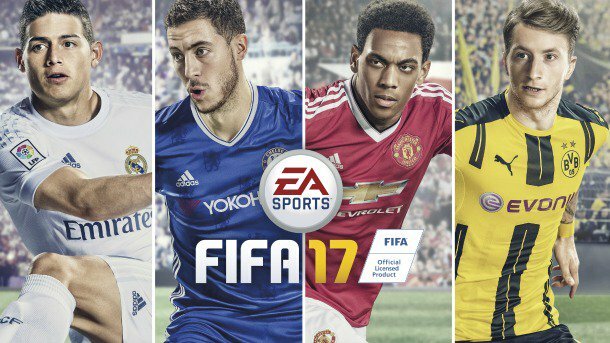 FIFA 17 also introduced four new football ambassadors who have influenced complete innovation in the action on the pitch. James Rodriguez of Real Madrid C.F., Anthony Martial of Manchester United, Eden Hazard of Chelsea FC, and Marco Reus of Borussia Dortmund are four world-class attacking footballers who are capable of changing any game. They all worked with EA SPORTS to bring to life the gameplay innovation which will be revealed at EA Play. The ambassadors also appear in the FIFA 17 pre-order offer as loan players in FIFA 17 Ultimate Team™. EA Access** members on Xbox One and Origin Access** members on PC can play the game early with Play First Trials. Stay tuned for more information on access timing and availability. FIFA 17 is developed by EA Vancouver and will be available in North America on September 27 and worldwide on September 29 on Origin™ for PC, Xbox One, PlayStation®4 computer entertainment system, Xbox 360® games and entertainment system and PlayStation®3 entertainment system.